A few weeks ago, I received some samples from Shibumi Berlin's latest collection. 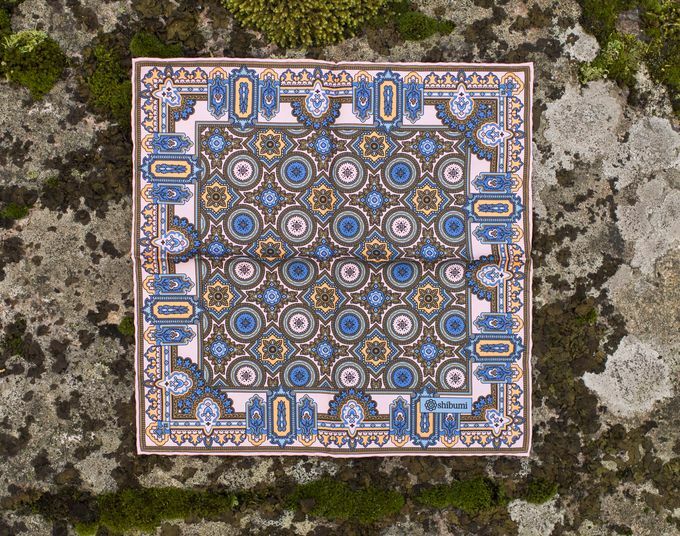 My good friends Benedikt and Niels have continued building up their item lineup over the years, but the spirit of Shibumi's products is still very much the same. Original color combinations, simple, timeless and classic designs combined with the best materials available. In some ways there is also that slight vintage esque feel to their products in my eyes, something that makes Shibumi Shibumi. 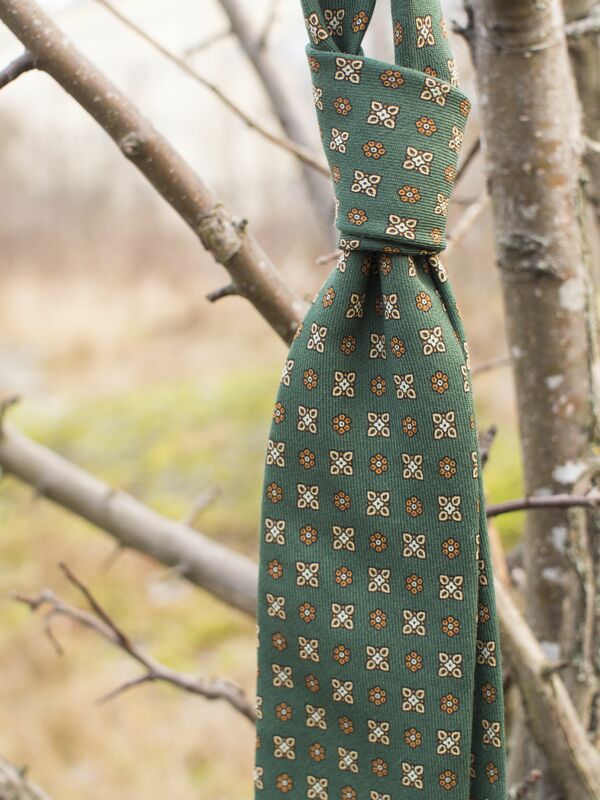 This green wool tie is a great option for a good winter all-rounder. 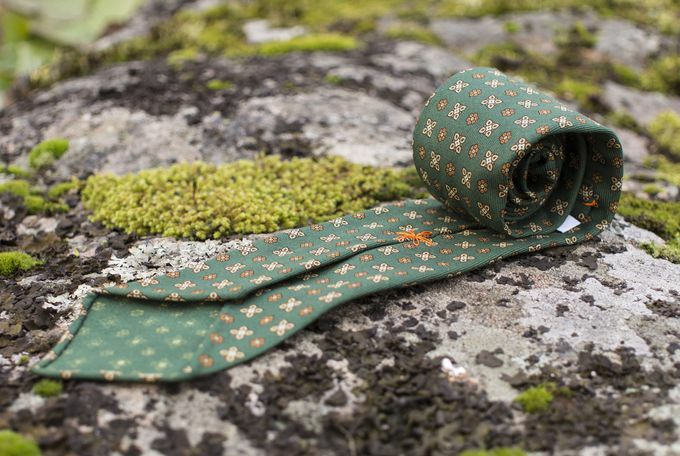 The print combines a unique type of green with orange and cream, creating a beautiful palette that looks especially great when worn with shades of brown or just dark navy. The wool fabric seems to be exactly the same as my other Shibumi wool tie which already was one of my favorite pieces. This is a tie that will always tie a balanced and a beautiful knot, and due to the lightweight feel of it can also be easily used during summer time. 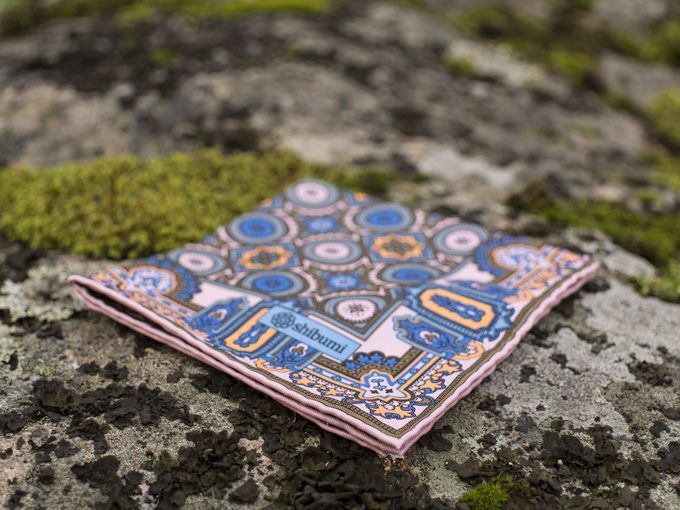 The pocket square was also a pleasant surprise. While the size of 33cmx33cm is not quite what I prefer, the square itself is impeccably crafted. The printwork is super sharp and the colors look vivid and full without being overly bright and in your face. This pocket square is perhaps best-used giving a spalsh of color to a regular navy suit with a navy grenadine tie type of outfit, folded as a classic TV fold. On top of these two items, I would also like to highlight a few other favorites of mine. First, the company sells probably the best-looking quality umbrella available today. Second, Shibumi actually offers a similar set of Vass shoes to the made-to-order pair I have, just in a different color. Something to check out as well, for sure.